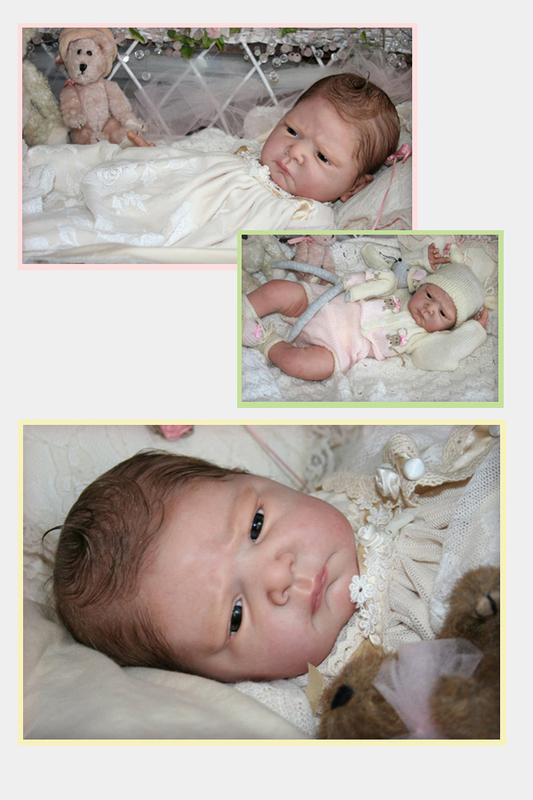 This gorgeous awake baby will measure 20-21" (51-53cm) when reborned with the Adriesdolls full jointed body. 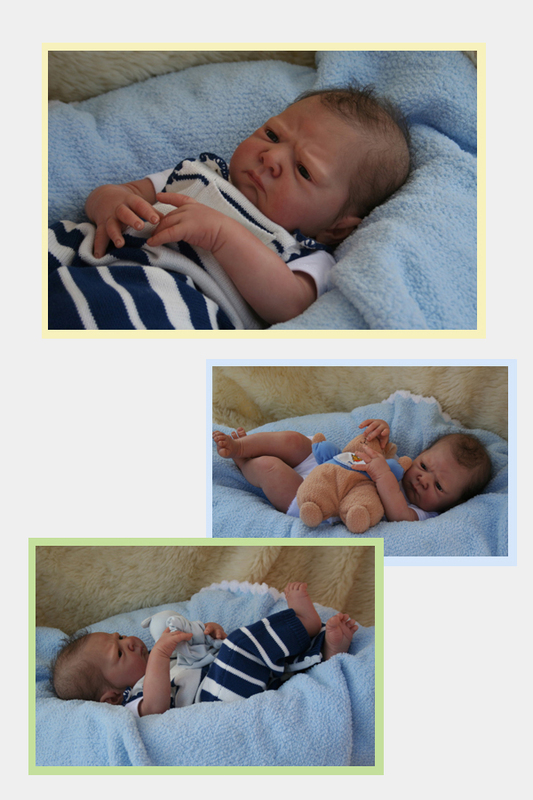 (not included) Our bodies are designed by Adrie herself to make sure the proportions of your reborn baby are as close to a real baby as possible. Barry is made in China out of skin coloured soft vinyl (same as Suze), of course Phalate Free. He is easy to root and has ¾ arms and ¾ legs. 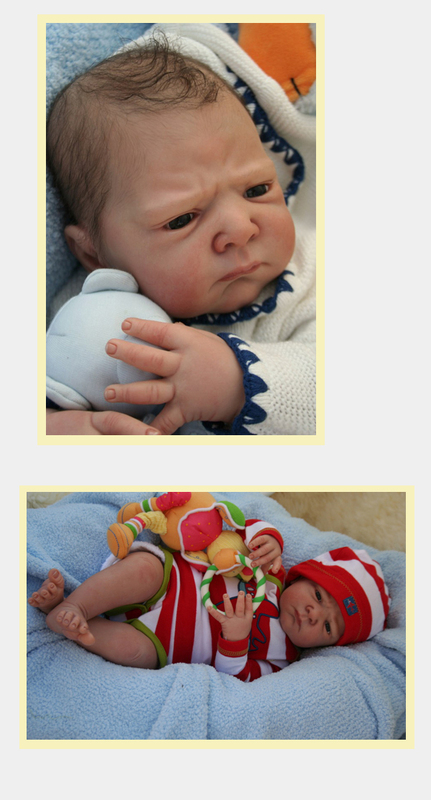 His limbs are sculpted just for him and will not be used on future babies, so he and all future babies will be completely unique. These parts are unpainted and ready to reborn. Adrie recommends our 20mm eyes for Barry, these will really bring him to life. An Adriesdolls 20" Tummy / Belly Plate will make your dream baby complete. Head circumference: 14.37" / 36,5cm. 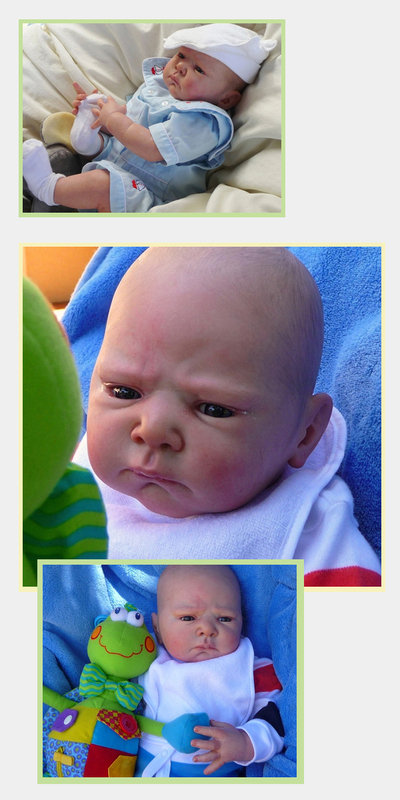 Adorable kit, I love his frown - he reminds me so much of my grandson. Thank you so much for your excellent service. God bless.